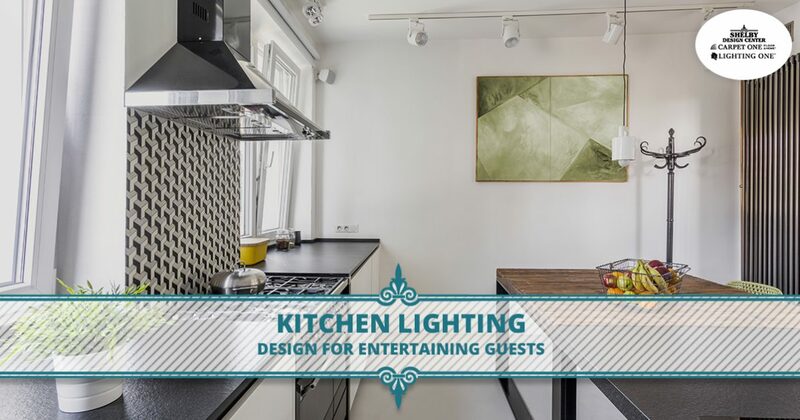 If your kitchen has become the gathering space when entertaining guests implement kitchen lighting design to create a welcoming, communal area. The kitchen has evolved into much more than a room where food is prepared — it’s where engagements and pregnancies are announced and where we tell stories with loved ones. Sometimes it’s very casual with a glass of wine and charcuterie board and other times you have a house full of people for a formal Thanksgiving dinner. If your kitchen is becoming an entertainment room, use kitchen lighting design to cultivate the ideal communal space. Kitchens create memories and stir nostalgia, which is why Shelby Design Center is here to illuminate the lighting aesthetic you crave. Embrace this space and take a pause from the hustle and bustle of your daily life, and sink into kitchen lighting design ideas. 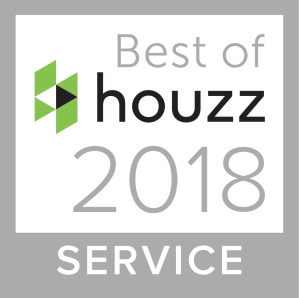 The kitchen has transitioned into more of a rec room now more than ever before, so it is important to give it the attention of indoor lighting that it deserves. There is a myriad of lighting options available on the market to fit every design aesthetic — so flaunt your design style with a statement lighting piece. Chandeliers create a distinguished and fun kitchen look. Peruse these one-of-a-kind chandeliers from our lighting showroom. If you’ve read any of our other pieces, you’ll know how much we love dimmers! Dimmers in kitchen lighting is a great addition because they can create the perfect ambiance immediately. Overhead recessed can lighting can kill a vibe quickly, so having another light source on a dimmer where you can drop the lighting to 50 to 75 percent while eating and hanging out makes a considerable difference. If a monochrome kitchen is your thing, stick with it, but if you want a more colorful and vibrant space, add sprigs of color here and there. Lighting fixtures can keep your kitchen from feeling stark and cold — integrate glass colored globes or metal pendant shades for a more colorful space. Don’t have a lone island. If your kitchen has an island, this by nature draws people in and becomes a center of your kitchen — don’t leave your guests in the dark. Illuminate your island with multiple pendant lighting for a soft, supple glow. Ensure you leave enough room for food prep. Below are a few stylish options. Accent lighting beneath your cabinets are fabulous and above your countertops is a wonderful layer to your kitchen lighting design, but it can look outdated if you are still using the fluorescent, harsh lighting. Give this accent lighting a facelift with LED tape lighting. This lighting option is easily camouflaged and adaptable fit snuggly under the cabinet space. They have many warm colored options to create a cozy light full of a warm, alluring glow. Crafting a kitchen lighting design is important as we entertain guests more and more in that space. Get creative as you implement different lighting layers in your kitchen. To begin your kitchen lighting journey, partner with us today!